Recruitment and promotion must be based on a competency-based approach and merit. Creation of a centralized selection process for new entrants to prevent corruption and strengthen the role of the civil service agency. Implementation of a three staged selection process. Introduction of a mandatory probation period for new entrants to the civil service for the first time. A 3+3 system will be implemented, with (evaluations and reviews taking place after three and six months). Salary increases for civil servants performing outstanding work. Transition to salary increases based on performance and results. Performance will be evaluated on the basis of: achievement of annual objectives for civil servants; achievement of strategic plans for state agencies; indicators of good quality of public services for ministers and Akims (governors), including standard of living and attracting investments; positive macroeconomic indicators for government officials. Civil service salaries will in the future be adjusted to take into account location. Mandatory provision of state housing for civil servants on duty. Houses will continue to belong to the state without any right of private ownership. Introduction of legislation to provide training for civil servants and professional development courses at least once every three years. Moving to a competitive based system for promotion within the civil service. Strengthening the principle of meritocracy by promoting only through competition among junior civil servants. Recruitment of foreign managers, experts from the private sector and staff from international organizations when needed for specialist roles. This will make the civil service open and competitive. Implementation of new standards through the development of a civil service code of ethics overseen by a special commissioner. Strengthening the fight against corruption, including development of new legislation. Establishment of a special unit in the Agency for Civil Service Affairs and Fighting Corruption dealing with systemic prevention and measures against corruption. Adoption of a new law on civil service, applicable to employees of all state agencies, including law enforcement. Improvement of the justice system to ensure citizens have access to justice. Transition from existing five-level justice system (first instance, appellate, cassational, supervisory and second supervisory) to a streamlined three-level system (first, appellate, cassational). Stricter qualification requirements and candidate selection process for judicial posts. They will be required to have five years’ experience in the justice system with the introduction of case study tests to assess skills and suitability. Candidates for judicial posts will work as interns in courts for a year with scholarships provided. After the completion of this internship programme, judges will have a one-year probation period. Separation of the Institute of Justice from the Academy of Public Administration in order to strengthen links between learning and judicial practice. This Institute will function under the Supreme Court and will ensure the professional development of judges. Strengthening accountability of judges. Development of a new code of ethics for judges, which can be used by citizens to appeal a specially established judicial board under the Supreme Court against judges’ actions that they consider improper. Mandatory implementation of audio and video recording of all judicial processes and hearings. A judge must not stop the recording or edit audio and video materials. More use of jury service in trials. An implementation of a legal definition of categories of criminal cases, where a jury trial must be mandatory. Ensuring an improved balance between prosecution and defense in courts by gradually transferring to the judge the authority to authorize investigations, which limit constitutional rights of citizens. Establishing separate judicial proceedings to consider disputes related to investment. A special investment board will be set up in the Supreme Court to examine major cases. Establishing an AIFC international arbitration Centre in Astana, modelled on the experience in Dubai. Establishing an international council, with leading foreign judges and lawyers, under the Supreme Court to implement best international standards. The council will advise the Supreme Court on improving Kazakhstan’s judiciary. Reducing the role of the prosecutor in civil trials to speed up the judicial process. This will require necessary amendments to the code of civil procedure. Further developing bailiff services in the private sector with the gradual reduction in the number of state bailiff services. Improvement of the appointment process of police officers to ensure it is based on competency. Introduction of new tests for new candidates and existing police officers to assess personal qualities and professional skills. Appointing staff of law enforcement agencies to the state service system. Introducing common rules of service, those to take into account features of each law enforcement agency. Establishing a local police service accountable to local executive agencies and the local community. Responsibilities of local police will include ensuring public order, traffic control, preventing domestic violence and preventing minor offences. Traffic wardens will be provided with video recorders, which will register everything that a police officer does during the shift. Ensuring police transparency by establishing public councils, which examine citizens’ appeals against actions by police officers who violate ethical standards. The status and mandate of public councils will be enshrined in the legislation. Creating an internet portal based on the national information centre “map of criminal offences”. This map will display all offences committed in the country no later than a week after the crime took place to help increase public accountability and police effectiveness. Establishing an effective system of rehabilitation for citizens released from prisons and registered by the probation service. Development of a comprehensive strategy for social rehabilitation and a standard for special social services. Privatising agricultural land in order to improve its efficient use. Introducing amendments to the land code and other legal acts. Improving the procedure of changing the purpose of land use. Regular monitoring of agricultural land use and the transfer of all unused lands to the state to allow further privatization. Improvement of tax and customs policies and procedures. Reduction of number of customs rates of the Single Customs Tariff through the ‘0-5-12’ model within homogeneous products groups of 6 items of the FEACN. Implementing the “single window” principle for exporters and importers during customs procedures. Development of the electronic declaration system to enable the automated clearance of goods and reduction in the number of documents needed for export and import and their processing time. Integrating customs and tax systems. To ensure proper taxation, importers will be tracked from the moment goods enter Kazakhstan until their sale. Introducing “Post Factum” mode of the custom clearance. Providing participants an opportunity to produce goods prior to the submission of declaration for goods. Simplification of legalization procedure for property and money. Introducing amendments and additions to the existing legislation. Introduction from January 1, 2017, of the universal tax declaration of incomes and expenditures for civil servants with expansion over time to all citizens. Establishment of centres for processing tax declarations. These will have access to the archive of electronic documents of tax payers. The introduction of the risk management system will see citizens rated against tax control risks. After the first application, the individual will not be reviewed again for three years. Improvement of indirect taxation mechanisms. This will include detailed consideration of introducing sales tax instead of value added tax. Improvement of current tax regimes with mandatory introduction of tax registration for incomes and expenditures. Improvement of processing permits. Introduction of the three-stage process of receiving construction permit (“30-20-10”). The first level is the issuance of an architectural and planning assignment, which will take up to 30 days. The second stage is agreement of the project design (layout), which will take up to 20 days. The third stage is the permit itself, which will take up to 10 days. Stage-by stage removal of the state monopoly of assessing pre-design and design documentation. This role will be transferred to the private sector. Introducing an effective method of estimating costs of construction. A new pricing method in construction will improve the estimation of construction costs at current prices with actual market value of materials, products, equipment, and salary, and will ensure prompt updating of costing standards. Replacing old and obsolete construction standards and rules used since the Soviet period with the eurocodes system. Adoption of new regulations will allow the use of innovative technologies and materials, increase the competitiveness of Kazakhstan’s experts on the construction services market, and will provide an opportunity for Kazakh companies to access foreign construction services markets. Reorganization of electric power industry. Introduction of a single purchasing agent. This will help decrease the difference in tariffs between the regions. Expanding regional electricity network companies. This will help to increase reliability of energy supplies, reduce costs of supplying electricity to other regions and prices for consumers. Implementation of new electricity tariffs to attract investments to the industry. The new tariff will cover both the financing of capital expenditure and generating costs for the power used. 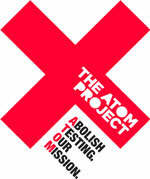 Reforming the work of the antimonopoly committee and aligning it with the OECD standards. The committee must be focused on the promotion of competition between businesses. Strengthening the institute of the business ombudsman to protect the interests of entrepreneurs. The institute will include business representatives and the national chamber of entrepreneurs. Attracting at least ten international companies to the processing sector to produce export goods and ensure Kazakhstan’s access to global markets. Promoting new opportunities to international businesses at international economic forums. Establishment of joint ventures in the priority sectors of the economy with “anchor investors” – international strategic partners (as currently practiced by Air Astana and Tengizchevroil). In the future, the state’s share in these joint ventures will be floated as the IPO. Establishment of a favorable migration regime, based on the experience of the US, Canada and Australia, to attract high-quality international experts. Attracting strategic (anchor) investors, who have successful experience in creating tourist clusters. Attracting strategic (anchor) investors to establish a single operator maintaining and developing road infrastructure. Attracting strategic investors to the energy saving industry. Their main task will be to encourage the development of companies in the private sector to provide energy saving services with the return of their expenditures and financial profit arriving from the reduction of energy costs. Attracting strategic investors to develop dairy production. The main task will be to export up to half of the produced goods to the CIS countries within three years. The work will be based on the experiences of New Zealand’s Fronterra and Denmark’s Arla, with the development of cooperative production taking place in rural areas. Attracting strategic investors to develop production and processing of meat. The main task is the development of raw materials for production and export of processed products. Implementation of the “national champions” initiative with the focus on supporting leaders of medium-sized businesses in non-resource based sectors of the economy. This will provide an opportunity to create competency centres where aspiring businesspeople can learn the necessary skills. Development of two innovative clusters to accelerate the creation of a knowledge-based economy. Scientific centers and laboratories will be established at the Astana business campus of the Nazarbayev University to conduct joint scientific and research projects, their development, testing and commercialization. They will be encouraged to cooperate with local and foreign high-tech companies. Development of the law “On commercialization of the results of science and (or) science and technical activities”, which defines the process of financing innovation in industry. The focus of scholarly grant and program structure will be reformed to reflect the needs of the State Program of Accelerated Industrial and Innovative Development. Further integration of Kazakhstan into the international transport and communication routes. Launch of the project to establish a multi-modal “Eurasian transcontinental transport corridor”, which will allow free transit of freights from Asia to Europe. The transport corridor will include routes through Kazakhstan, Russia and further into Europe; through Kazakhstan from Khorgos to the Aktau port and through the Caspian Sea to Azerbaijan, and Georgia. We will aim to work with the Asian Infrastructure Investment Bank. Establishment of an international aviation hub. With the participation of a strategic investor, a new international airport of the highest international standards will be built near Almaty. Establishing “Air Astana” and “KTZ” as major international operators. “Air Astana” will focus on international routes and open new routes to major financial centers of the world (New York, Tokyo, Singapore). Development of “Air Astana” will be carried out in accordance with plans by “KTZ” to develop alternative routes, which will help reduce the cost of freight shipments by more than half. Improve the effectiveness of the state air transport management to increase attractiveness of air transit through Kazakhstan. Activities of the Civil Aviation Committee will be focused on the model of the UK civil aviation authority and the European aviation safety agency. Making Astana a Eurasian business, cultural and scientific centre, attracting researchers, students, entrepreneurs, tourists from the region. A modern international transport and logistics system, including a new terminal at the airport will be established in the city. Establishing the Astana International Financial Centre (AIFC), and giving it a special status consolidating legally within the constitution. Establishment of the center as a financial hub for the CIS countries, as well as the region. An independent commercial law system, which will function on English law principles and with a judicial corps consisting of foreign experts will be established. The goal is for Kazakhstan’s financial hub to join the top 20 financial centers of the world. Develop a strategy to ensure that the financial center provides specialized services to the capital markets as well as Islamic finance services. Development of new types of financial services, including private banking and asset management. Introducing a liberal tax regime for the center. Possibility of establishing an offshore financial market. Introducing the principle of investment residence like in Dubai. Making English the official language of the financial center. Its independent legislation must be developed and applied in English language. Ensuring international transport accessibility to the financial center. Establishment of a network of regular and convenient air services between the financial center and other leading financial hubs. Increasing transparency and predictability of the subsoil use sector by introducing the CRIRSCO mineral reserves international reporting standards. Introducing a facilitated contracting method for all mineral resources by using the best international practices. Increasing the quality of human capital on the basis of the OECD countries’ standards. Stage-by-stage implementation of 12 years of secondary education, improving the standards of school education in order to develop higher literacy standards. Introducing per capita financing for high schools and establishing a system of expanding successful schools. Training highly qualified staff in the top 10 leading colleges and 10 higher education institutions that focus on six key sectors of the economy. Sharing their experience with other educational institutions in the country. Moving gradually towards the self-management of universities, taking into account the experience of the Nazarbayev University. Transformation of private universities into non-profit organizations in line with international practice. Stage-by stage transition to the use of the English language in the education system. The main aim is to increase competitiveness of students when they leave and position the educational sector as attractive for international students. Implementation of mandatory social health insurance. Strengthening financial sustainability of the health system through the principle of mutual responsibility of the state, employers and citizens. Priority financing of the primary health care. Primary care will be the core of the national healthcare for prevention and early fight against diseases. Development of private health care, corporate management for health facilities. Introduction of a corporate governance at healthcare organizations in order to enhance accessibility and quality of the healthcare services through competition among the organizations for financing within the healthcare insurance. Encouragement of privatization of the public healthcare organizations and extension of the guaranteed healthcare package provided at private healthcare organizations. Establishment of a commission on health care service quality under the Ministry of Healthcare and Social Development. The main aim is to introduce best standards of health care service (treatment protocols, personnel training, medicines provision, quality and access control). Liberalization of labour relations and development of a new labour code. Development and implementation of the large-scale project of the Assembly of People of Kazakhstan “Big Country – Big Family”, which will strengthen Kazakhstan’s identity and create conditions to form one civil society. All the work will be connected with the implementation of the concept of development of the tourist industry by 2020 and establishment of regional tourist clusters: “Astana — the Heart of Eurasia”, “Almaty — Kazakhstan’s Free Cultural Zone”, “Unity of Nature and Nomadic Culture”, “The Pearl of Altai”, “Restoration of the Great Silk Road”, “the Caspian Gates”. Development and implementation of the national project “Menin Elim” (My Country) that aims to strengthen civil identity. The implementation of a number of technological projects is envisaged. They include the creation of the large-scale internet project “Encyclopedia of Kazakhstan”, which will enable citizens and foreign tourists to discover more about the country. The portal will include 3D video tours of Kazakhstan, information on history and culture of the country, as well as interesting events. 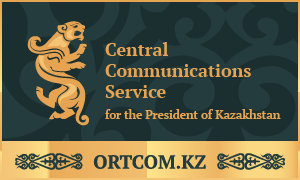 The portal will act as Kazakhstan’s “business card”, as well as a national guide, a national wall of fame of citizens and a platform for online discussion. Development and implementation of the national project on promoting the idea of the Society of Common Labor, which includes plans to implement the infrastructure development program “Nurly Zhol” (Path to the Future), the second five-year period of industrialization and personal success stories of Kazakh citizens (heroes of our time), who achieved success since independence. Development and implementation of the national project “Nurly Bolashak” (Bright Future). Introducing values of the Mangilik El (Eternal Nation) into the current education programs. Creating a results-oriented state governance system with standardized and minimal procedures for monitoring, assessment and control. A disciplinary oversight system should be based only on achieving stated target. All procedural tasks and interim oversight should be abolished. State agencies will have independence in their activities aimed at achieving the set targets. Establishing a reduced state planning system, decreasing the number of state programs, abolishing sector programs by integrating them into existing state programs, as well as into strategic plans of state agencies. Redesigning strategic plans and regional development programs. Introduction of a new system for auditing and assessing public service work. Assessment of state programs will be carried out once every three years. Assessment of state agencies’ efficiency will be conducted annually. The law “On state audit and financial control” will be adopted. The accounts committee will work based on the model of world leading audit companies and move away from current operational control. Introduction of “the open government”. Drafting law on access to information that will allow access to any information of state agencies except for highly confidential state documents and other information protected by the law. Introduction of annual public statements by heads of state agencies on achieving key objectives and publication of their reports on official websites. Introduction of annual reports on the performance of heads of national higher education institutions. Ensuring online access to statistical data of central state agencies. All budget, spending and consolidated financial reports, as well as results of external assessment of state service quality will be published. Empowering citizens to participate in the decision-making process through development of local governance. Giving more powers to the private sector and self-regulated organizations, especially when it comes to activities that are not typically performed by the state. Independent budgets for local government will be introduced in rural areas, auyls, villages, and towns. Mechanisms will be put in place to allow citizens to participate in discussing the best way to spend the budget. Strengthening the role of public councils under state agencies and Akims. They will discuss the implementation of strategic plans and regional development programs, as well as budgets, reports, achieving stated objectives, draft legal acts concerning rights and freedoms of citizens and draft program documents. Legally establishing these public councils will enhance transparency of state decision­making. Establishment of a state institution “government for citizens” that will become a single provider of state services and will be based on the example of Canada service and centre link in Australia. This institution will integrate all public service centers into a single system. International certification of state services according to ISO 9000 quality management standards. The National Modernization Commission under the President is established. It has five working groups, which include national and foreign experts. The national commission should implement five institutional reforms on a step-by-step basis. It will ensure effective discussions between state agencies, the business sector and the civil society. The national commission should adopt conceptual decisions and define concrete action plans. Its proposals will be approved by the President of Kazakhstan. Once approved, the Parliament will transform these proposals into legislation. Efficiency of implementing key initiatives by Ministers and Akims will be thoroughly monitored by the national commission. It is necessary to establish an international consultative council with experienced foreign experts under the national commission. This council will develop recommendations and carry out independent monitoring of reforms and their implementation. 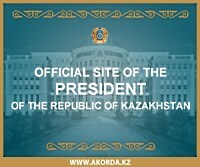 The office of the Prime Minister of Kazakhstan will act as the working body of the national commission. Arbeitstage: alle ausser Mittwoch, Wochenende und ges. Feiertage der Schweiz und Republik Kasachstan.